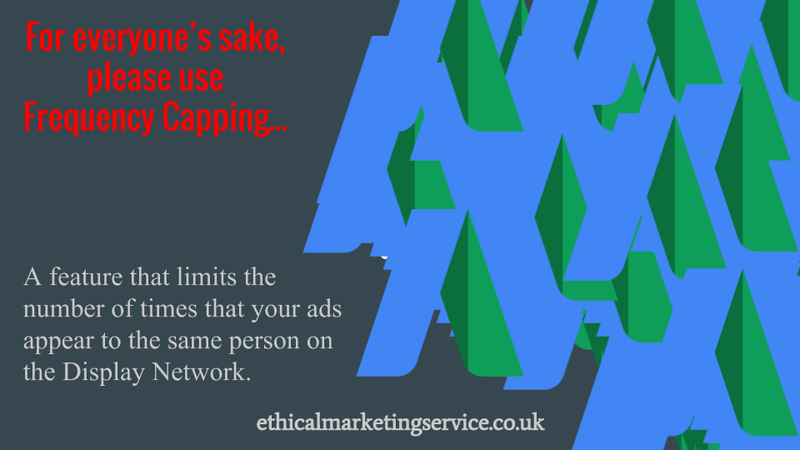 Since the introduction of remarketing, frequency capping is a very important feature to implement, I was a customer of an email marketing service last year and they remarketed to me for months but with no limit, I was aggravated by the company and it probably did more harm than good. As the video above shows, I have implemented a cap of 5 impressions per day per ad. This means we will not over advertise to the customer on any given day. You can also ensure that within your campaign, as soon as someone converts, you do not remarket to them (unless your business deals in repeat sales). You can also decide to cap your advertising per week or month and instead of capping a particular ad, you can cap an adgroup. Even if the impressions are quite high, I would recommend some form of frequency capping, as it only applies to one user. This entry was posted in adwords and tagged Google Adwords Frequency Capping. Bookmark the permalink.